The UK's e-commerce industry is one of the most mature globally, according to research. The e-commerce industry in the UK is one of the most mature global markets, according to research. 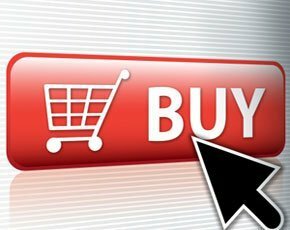 Some 77% of British shoppers prefer to buy goods such as CDs, DVDs, books and video games online – compared with 65% globally – according to a KPMG survey of 9,600 consumers across 31 countries. The news comes as retail sites are expected to receive 85 million visits on 5 December, a 15% rise from last year, according to Experian Hitwise. KPMG also found that smartphones are becoming a key aspect of shopping habits, with 45% of UK respondents using mobile devices to locate the nearest store, 32% to research products and services, 30% for online coupons and 19% to scan in barcodes for product information. Around 74% of consumers in the UK also said they were more likely to buy flights and holidays online, and six in 10 used some form of online grocery shopping. "From buying goods on their mobile phones to keeping up with friends on social networks, consumers are increasingly reliant on a range of technologies that perform important – yet often overlapping – tasks," said Tudor Aw, KPMG's European head of technology. However, according to the research, only 27% in the UK said they had used some form of mobile banking in the past six months. That compares with 52% globally, found KPMG. Consumers in the UK are also more reluctant to embrace the cloud – storing their data online rather than on their own computers – with 53% of respondents saying they do so, compared with 65% globally. "The report also shows that consumers' concerns over privacy and data security have increased over the past few years, and companies across all sectors need to take this concern seriously," said Aw.